Felice credits her inspiration in part to her Father, who created beautiful furniture from recycled wood salvaged from all over California. 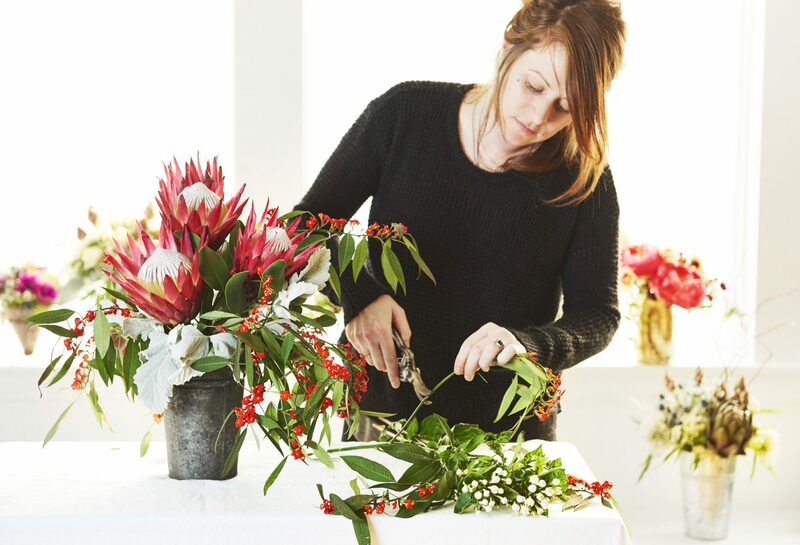 “His ability to create something stunning from things that most people would throw away taught me the value of a different perspective.” Her attraction to floral design started as a hobby helping her twin sisters, both florists, but soon became something she just couldn’t put down. “I take inspiration from seasonally changing colors, textures, plant life and foliage near my home in Marin County.” Felice studied fashion design at the Fashion Institute of Technology in New York.